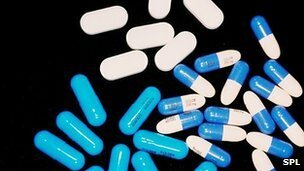 An increase in NHS prescription charges in England of 25p to £7.65 has come into effect. In England, the cost of a prepaid prescription payment certificate (PPC), which is valid for three months, will remain at £29.10, while the price of an annual PPC will be held at £104. These certificates allow people who have a lot of prescriptions to save money by paying a lump sum in advance for a set number of items. The cost of hospital-supplied elastic stockings and tights, wigs and fabric supports. A 2.5% rise in the cost of vouchers for glasses for children, people on low incomes and those with complex sight problems. The dental charge payable for a basic “band 1” course of treatment – examination, diagnosis and advice, including X-rays, a scale and polish and planning for further work if necessary – will rise 50p to £17.50. Band 2 charges, covering fillings, root canal treatment and extractions, will rise by £1 to £48. For band 3 work, such as crowns, dentures and bridges, the cost will increase by £5 to £209. The government says abolishing prescription charges in England would leave the NHS £450m short each year. But the British Medical Association has said the current system is “unfair” and called for prescription charges to be scrapped in England. Neal Patel, from the Royal Pharmaceutical Society, told the BBC he worried those with chronic conditions might neglect their health because they could not afford the charges in the current economic climate. He said he would like to see the “unfairness” reformed. “The prescription charge system at the moment seems to penalise people that have certain long-term conditions, but not others. A Department for Health spokesman said it was investing an additional £12.5bn in the NHS and had found an extra £4.5bn for patient services by “cutting back on bureaucracy”. He said the £450m funding from prescription charges was “valuable income” – equivalent to the salary costs of 18,000 nurses, or 15,000 midwives, or 3,500 hospital consultants.